BLOCK Fest® Host Training is a 3-hour semi-interactive training presentation. The Host Training prepares you to properly facilitate a BLOCK Fest® event and understand the creation of BLOCK Fest® and the research behind block play. The training is conducted in an online classroom with a combination of videos, interactive segments, and live presentation. The training classroom requires access to a computer with internet and a phone line for the duration of the training; you do not need a webcam. What does BLOCK Fest® Host Training fee include? 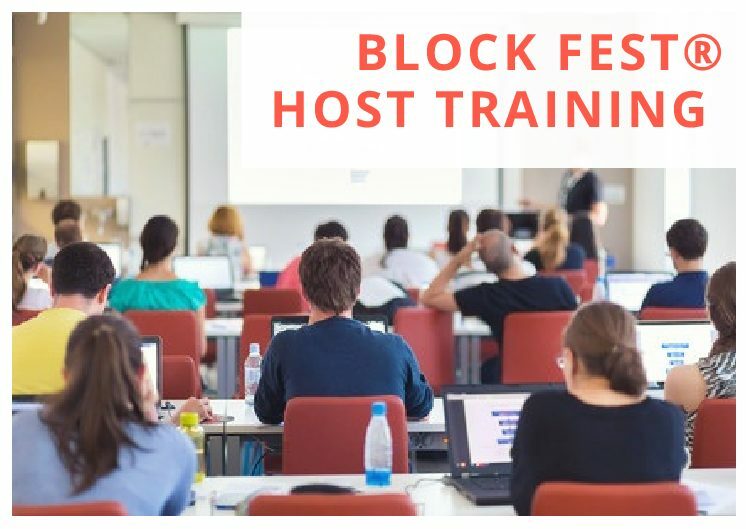 The Host Training fee includes the 3-hour training session, and upon completion of training, access to a BLOCK Fest® Certified Host to guide you through your first three BLOCK Fest® events, a BLOCK Fest® Host Certificate, and admittance to the “Host Page” on the BLOCK Fest® website.